Confidence, Self Esteem, New Friends/Connections, Environmental Knowledge, Surf Culture Experience, Physical Fitness, Yoga Experience, Stand Up Paddle board Experience, Lifeguard Training Experience, Open Ocean Safety Experience, Teamwork, Dedication, Compassion and Integrity. Safety is our #1 priority. Anything can happen in the ocean with little or no warning. All students must always listen to Summa Love instructors. All beginners will be in separate groups than intermediate and advanced students. Grouping is based on age and ability level. 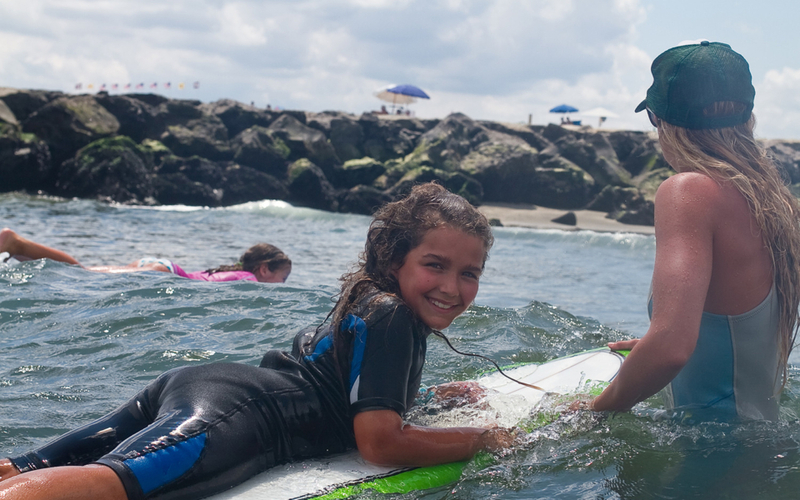 To become part of the advanced class, the student must be able to successfully catch a wave on their own and be able to go down the line either right or left. This must be done at least 3 times. They must also have all the necessary knowledge about surfing including etiquette, duck diving, communication, paddling back to the waves in a safe matter, (If a surfer is going down the line while you are paddling back out, you must paddle the opposite way of the incoming surfer even if it means taking the brunt of the wave on your head) open ocean safety, (If caught in a rip tide, the student must know how to get out of the rip tide by not fighting it but going with the rip paddling parallel to the beach to safety) and carry all necessary safety equipment on their surfboard including nose guard, leash and rubber tipped fins (fiber glass boards). Students are not pressured to become advanced because each student is unique with their own learning curve. Instructors will be with the student to coach them and help them progress at their own pace while teaching them all their knowledge from years of surfing including everything mentioned above. 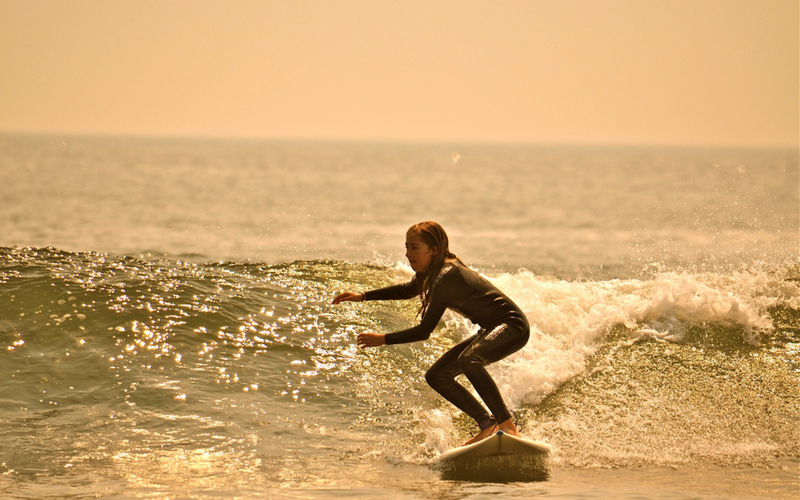 ● Beginner Class – All beginner students practice all the basics on the beach first before entering the ocean. 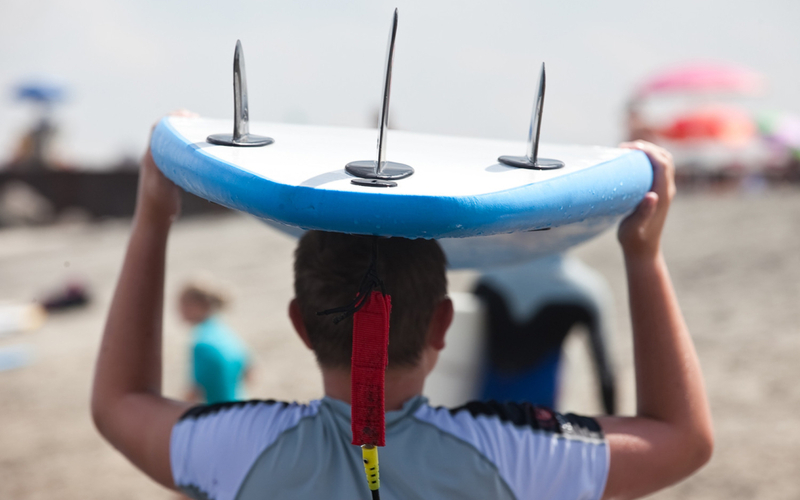 On the beach students will learn how to paddle, stand, practice surf etiquette and achieve all safety requirements. 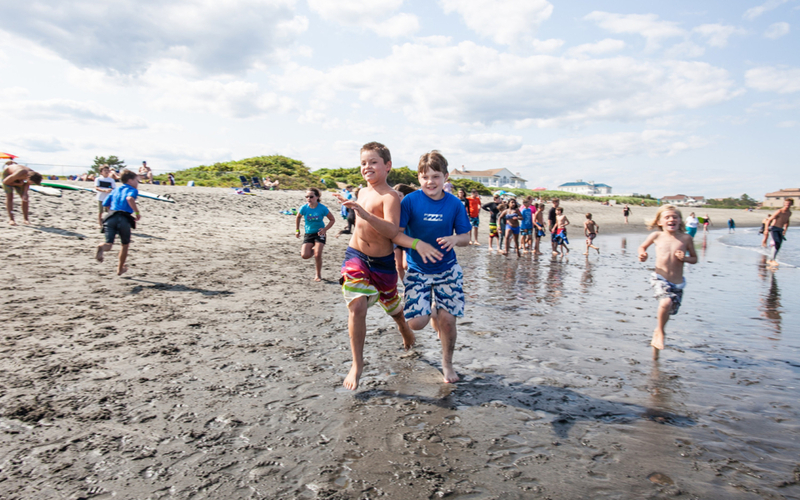 Students stay in shallow water catching white-water waves to the beach. ● Intermediate Class – Students will now be able to surf waves further from the beach no more than 50 yards and be able to catch waves on their own no bigger than 2ft. They are now learning to ride waves down the line either right or left. All safety requirements must be met before moving on to advanced level. for students who want to take their surfifing to the next level. Students are expected to perform cutbacks, floaters, off the lips and barrels in waves no bigger than 3-4ft. They are encouraged to compete in local contests with plenty of support from our instructors. 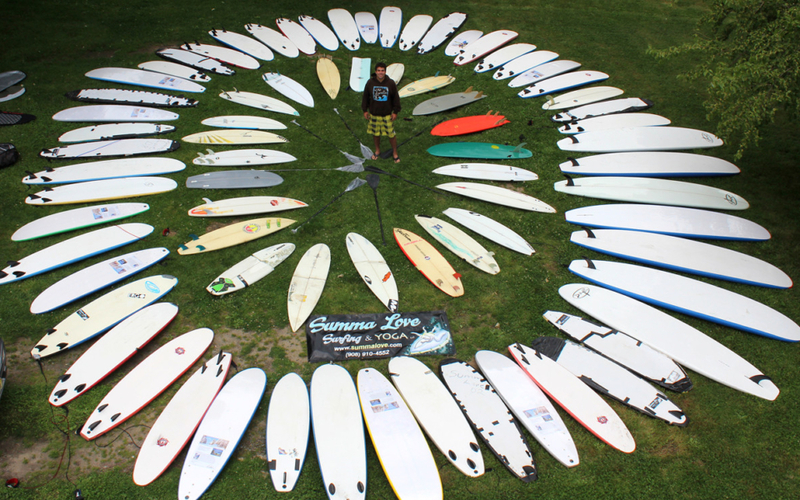 They are also invited to help teach less fortunate kids how to surf with Summa Love Community Camps. 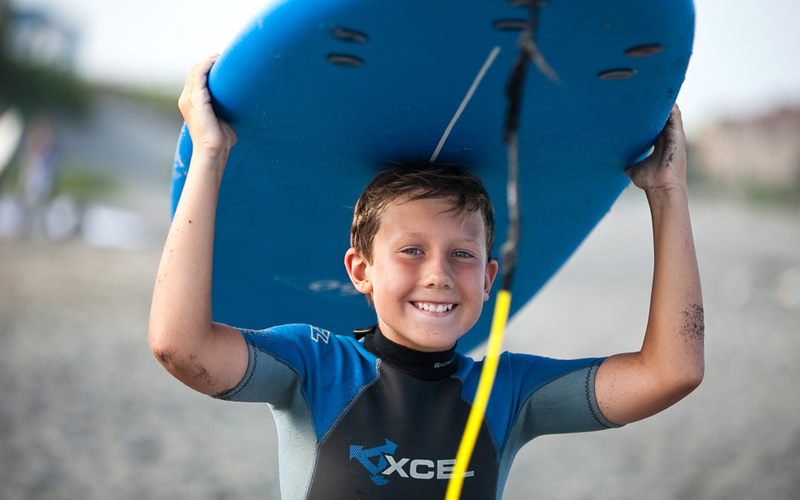 Advanced class is the beginning of the next stage in a young surfer’s life. 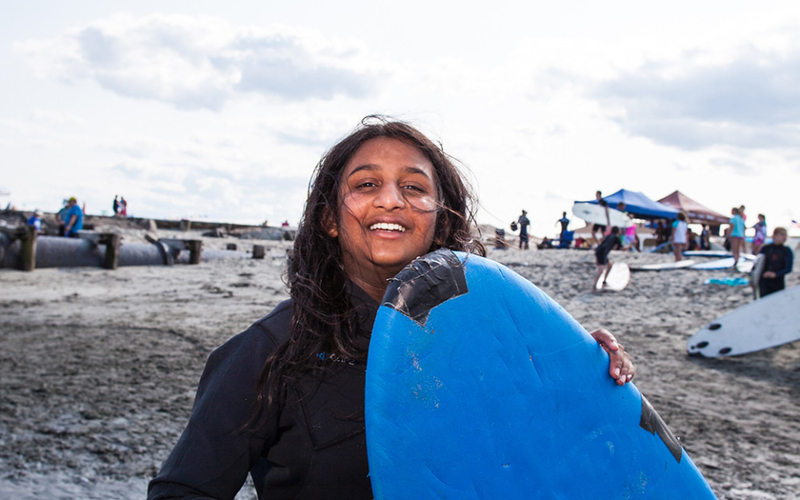 They are part of Surf Team Summa Love and are now accredited through Summa Love to safely surf on their own. We hope this program will produce more world class surfers from New Jersey. Next step after advanced class is Jr. Instructor. Must be at least 16 years old to work at Summa Love as a jr. instructor. What To Bring – Warm dry clothes, extra sun block, extra water, dry towel, sandals, bathing suit, rash guard, lunch Monday-Thursday and extra water. We supply extra water, snacks, extra rash guards, extra sun block, pizza on Friday, wetsuits and surfboards. Break Time – ALL students have to remain on the beach with the remainder instructors for beach activities. Beach activities include beach sweeps, run the bases, soccer, kickball, baseball, volleyball, football, ultimate frisbee, skim boarding and body surfing. All students must also carry their equipment to the tents after surfing. Camp Refunds – With 5 weeks notice, we can issue full refunds. If weather is poor, we will cancel camp and issue make ups. Waves may also be too big to run surf camp. Camp counselors will make a collective decision about canceling camp. If thunder storms hit 1/2 way through surf camp, we evacuate the beach immediately and put all campers in the safety of staff automobiles until the storm passes and we resume surfing or we cancel completely and either extend camp the next day or issue half day credit for campers to use during a future camp date. Students who sign up for a week should come to camp consecutively for the week. If students can not make camp everyday during the week, make ups are allowed during future camp days if room is available. Please give us at least 24 hours notice if student can not make camp and we will issue a credit for a future camp date. All students should complete camp days before the summer is over to avoid losing the days completely. No make up camp days can be carried over into the new year. Students who sign up for the summer can come to camp every day during the week from weeks 1-10. Weekends are for birthdays, corporate events, privates and beach club camps. 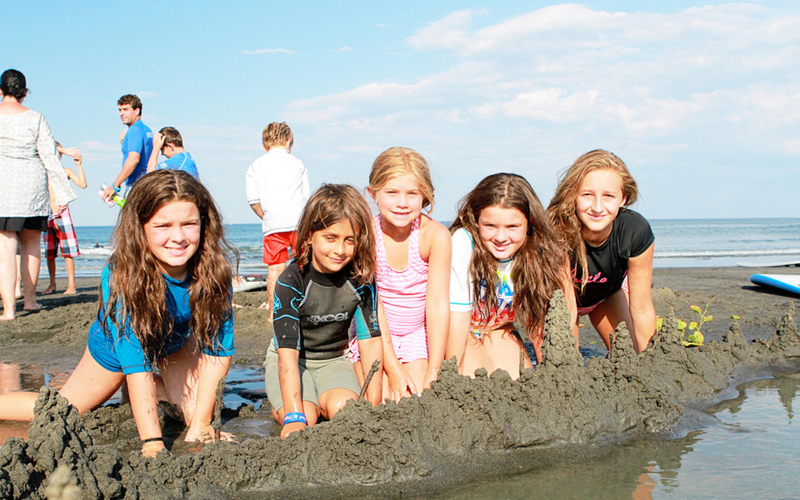 Sign Ups – To sign up for camp, you can register online directly here on our site, call (908) 910-4552 or email info@summalove.com to reserve camp days. Once the camp days are reserved each student will need a parent/guardian to fill out the waiver/registration form online here on our website. Payments can be made directly on our site. To avoid online fees and to pay a deposit, please email us at info@summalove.com or call us (908) 910-4552 with exact camp dates, Credit Card information and sign our waiver online. We will run the card through pay pal for a $100 deposit and email you a receipt. We also accept cash, all major credit cards or check made out to Summa Love if you prefer to leave a $100 deposit and pay the remainder balance at check in. We ask for 24 hours notice for all sign ups to help keep our ratios low with students per instructor. All times are posted on our schedule page. Parents are welcome to stay on the beach to photograph their kids and help out with our beach sweeps! Where to Stay – Bungalow Hotel is the New Jersey Shore’s only authentic boutique, luxury, lifestyle hotel. Listed as one of the top 10 chic hotels on Elle.com, Bungalow Hotel opened its doors on May 1st 2009. 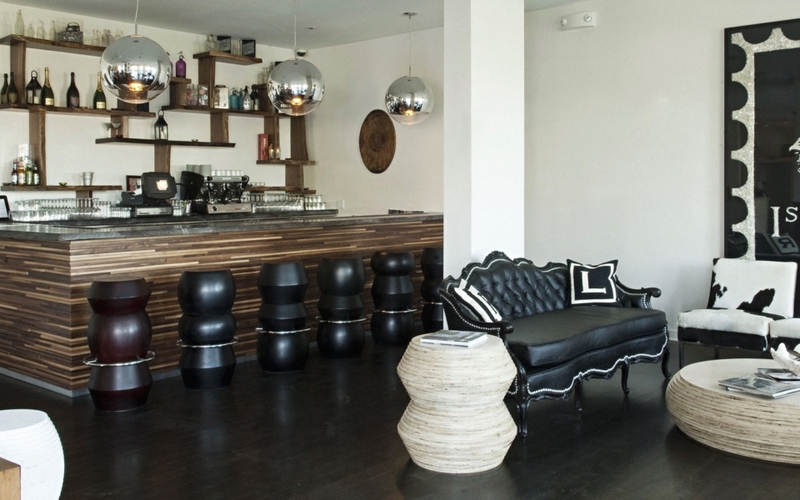 The beach-mod hotel decor has been carefully chosen by husband and wife duo, Courtney and Robert Novogratz. The Novogratzs are the design team behind Sixx Design, a celebrated building and interior design company recently featured on Bravo. Located in Pier Village, just steps from endless sand beaches and the refreshing Atlantic Ocean, Bungalow is stylish and beach chic, yet playful and profoundly inviting. The lobby has an endless assortment of games for guests to enjoy including billiards backgammon and chess. 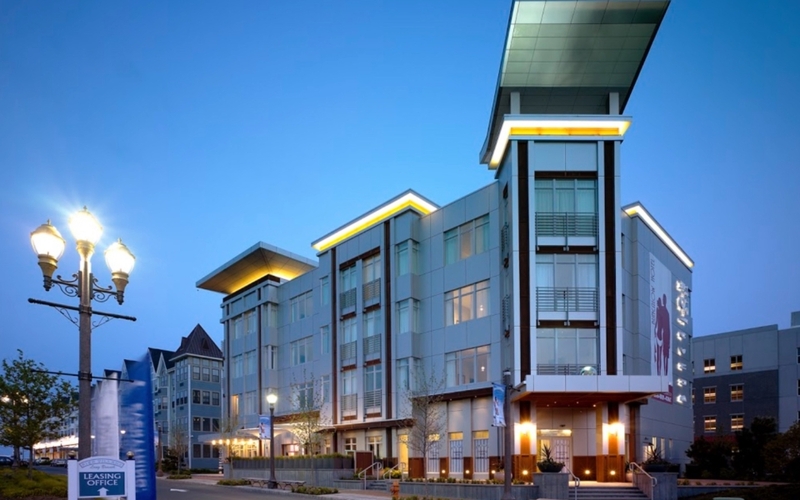 All rooms are over-sized with king beds, flat screen TVs, iPod docking stations, kitchenettes, cafe tables, expansive window walls, and fireplaces. Booking information: http://bungalowhotel.net.